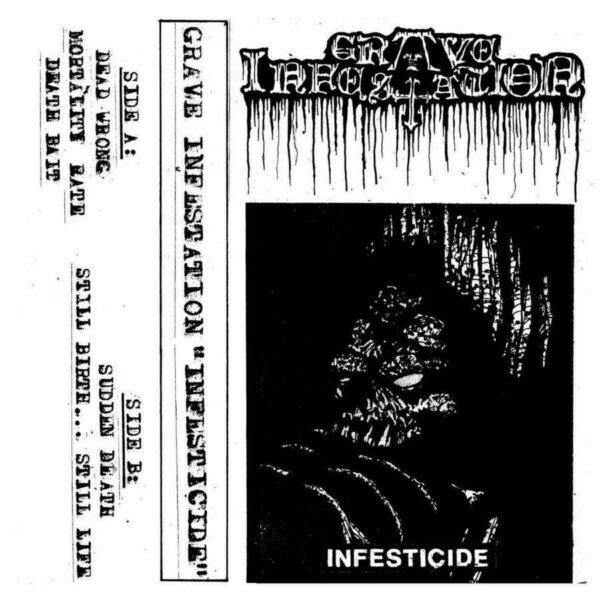 First self-released by the band and now to be re-released though Invictus Productions, Grave Infestation from Canada sound like the name is supposed to sound. Rotten, putrid, decay smelling Death Metal. Rancid from top to bottom, with buzzsaw guitar and bass sound reminiscent of late 80s and early 90s, with a more than prominent Swedish touch. The production does the rest. This is pure face melting old school on every aspect Death Metal. Skank beats, D-Beats and groovy beats with relentless double bass drumming, howling chaos guitar soloing, and zombie like growls the way this should sound. Don’t seek for innovations here as this is a trip back to the beginnings when (Death)Metal was ugly, dangerous and full of dark atmosphere and rolling heads…yes, those of head banging metalheads.